The holidays mean something different to everyone. Some people remember the homemade cookies Grandma would make. Others remember watching the city’s tree light up for the first time. Whatever memories you cherish during the holidays, chances are they involved sparkles, snow (even if it was fake), candy, and a special moment. Use these four elements to make your holiday party memorable for all. When decorating for your holiday party, don’t forget the lights. Whether you choose fairy lights or traditional string lights, your home needs festive lights to bring in the holiday spirit. 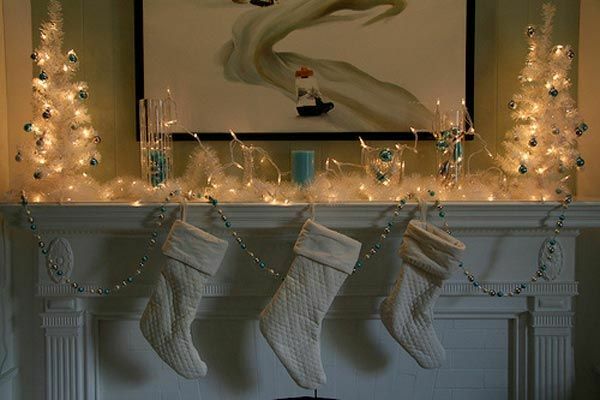 Use lights on your living room mantel over the fireplace, wrapped around the banister of your staircase, or somewhere unexpected like in a jar in the bathroom or around your kitchen cabinets. 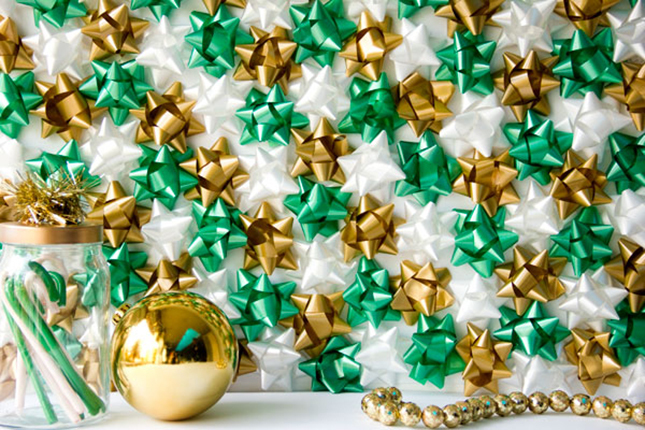 Glitter is another way to add sparkle to your home during the holidays. There are many ways you can make DIY decorations with glitter, such as glitter vases, a stag head with glittered antlers, or glittery ornaments. For optimum sparkle at your holiday party, use a balanced mix of festive lights and shiny glitter. Whether you live in a warm climate or a frozen tundra, chances are you associate snow with the holidays. Why not bring that snow into your home’s interior holiday decor? 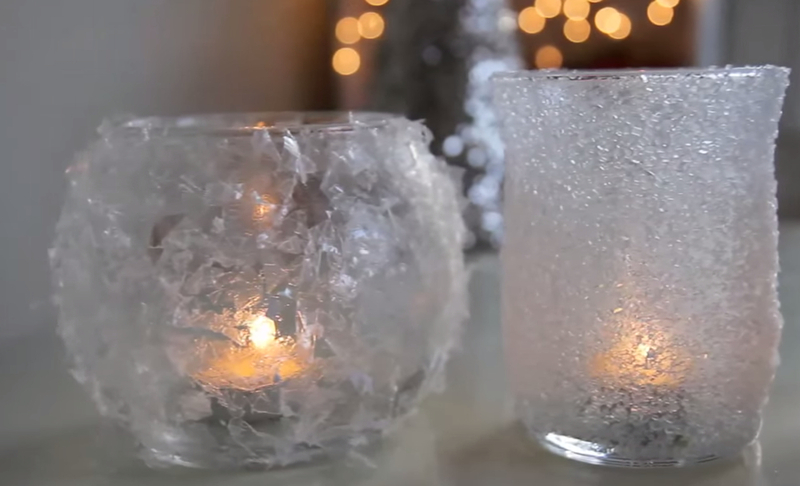 You can create your own snowy, frosted candle votives or vases, or you can decorate a fake tree with faux snow. Snow globes, whether DIY or purchased, are another fantastic and stylish way to add the element of snow to your holiday party. The holidays are when the special cookies, cakes, candies, and barks get made and devoured. If you don’t have the space to set up an entire dessert station, make smaller dessert stations for different type of desserts. 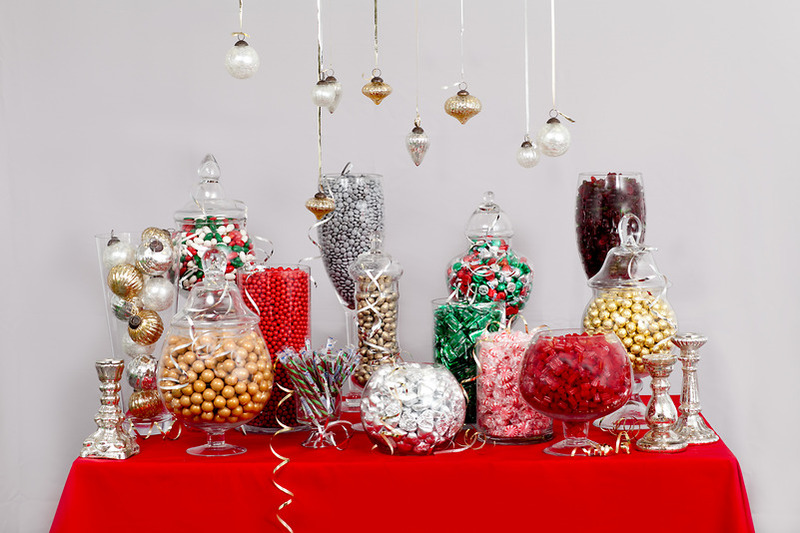 Fill apothecary jars and vases of varying sizes with different candies. Use trays and cake stands to display baked goods such as cookies, cakes, and brownies. Place a few dessert stations around the living room or throughout your home to give the party a flow and to keep everyone from congregating in the kitchen while you’re trying to finish dinner. To make your holiday party truly memorable, you need to have something special. That doesn’t mean that you need to have the biggest TV or the newest stereo system. It means that you need something people are going to remember. Whether it’s when you break out the old keyboard or guitar and have everyone sing holiday songs, or the festive photo backdrop and DIY photo booth you made so everyone can remember the night. Make sure there’s something special at your holiday party that brings everyone together and creates a memorable experience.